Reading is an adventure I embark on, not to pass the time, but to help me imagine the unimaginable. 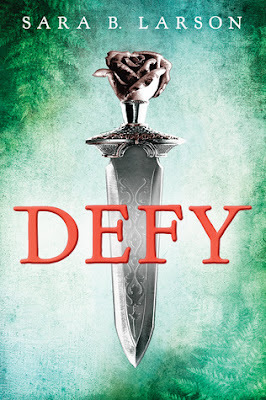 The world Sara Larson created in the Defy series is one such adventure. The first book DEFY introduced us to Alexa and her Prince Damian. She is a woman pretending to be a man and serves as a close in guard to the Prince. She is captured, discovered and eventually falls in love with the Prince. However to save the prince and the kingdom, she has to let her love go. 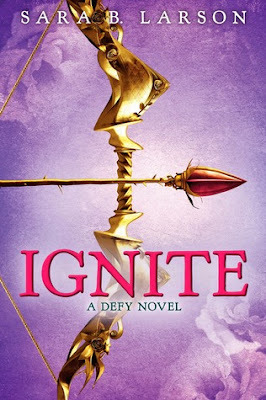 the second book IGNITE begins with the former lovers not quite with each other yet not quite apart either since she remains to serve as his personal guard. Horrible things happen and she needs to go away to save someone Damian loves but in the end jeopardizes herself and the one who loves her. True to the title, Alexa has so much more to endure here, physically, mentally and emotionally. Even I was a wreck after reading so many chapters. One has to have a steely resolve to read through everything she has to go through in this book. True. Damian and Alexa are back together and they are getting married. But there is still that question of getting Rylan, Alexa's fellow guard and bestfriend, back from the clutches of the black sorcerer Rafe, who also happens to have Alexa under his spell and can use her to fight his battles, matters which Alexa chooses not to tell Damian up to the end. But Alexa is nothing if not loyal and brave, and so she goes, leaves her king, to rescue the man she knows in her heart she also loves. First let me say that this book is less romantic than Defy was. More than anything this book is about friendship, loyalty and courage. Nonetheless I enjoyed reading the few moments the main characters had in showing their deep affection for each other. Action. Bloody fights. Heart wrenching loss. This book has an abundance of. And the loss was a killer. When one by one my other favorite characters fell, I started wondering how this would end, or if anyone would still be alive by the epilogue. It was hell. Crying was inevitable for I felt the loss that Alexa felt. I can honestly say I have never read a book with this many "important" casualties....maybe ever. But I understood why the author made it so. To have so much loss, is to have more appreciation for what was left behind. But still...man! That hurt. 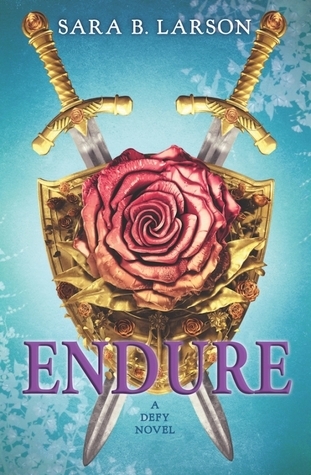 From Defy to Endure, the author was consistent with her characterization of Alexa. Yes there was a time she questioned her worth, but what woman doesn't? ultimately, she knew she had to do everything in her power to protect what and who she loves. And protect with all her might she does. As for Damian, we finally see him become the king that he is meant to be. He still depends so much on Alexa emotionally but chooses to stand by his people even when he thought the worst about the woman he loves. And Rylan, a friend you love till the end. He was always a solid character, and the last chapter proves his worth to all. So much to say and so much I shouldn't. I don't want to ruin anything that makes this book so hard to put down but I will say this. Do not dare skip. Do not go straight to epilogue. Do not speed read. Endure the pain and suffering of loss. Seeing that this is the last of the trilogy...read slowly, savor the words, cry out your heartache and smile in triumph for at the very end, Alexa gets what she deserves.